Heat oven to 375, grease bottom and sides of square pan (8X8). Arrange apples in pan. Mix remaining ingredients in a small bowl. Sprinkle over apples. 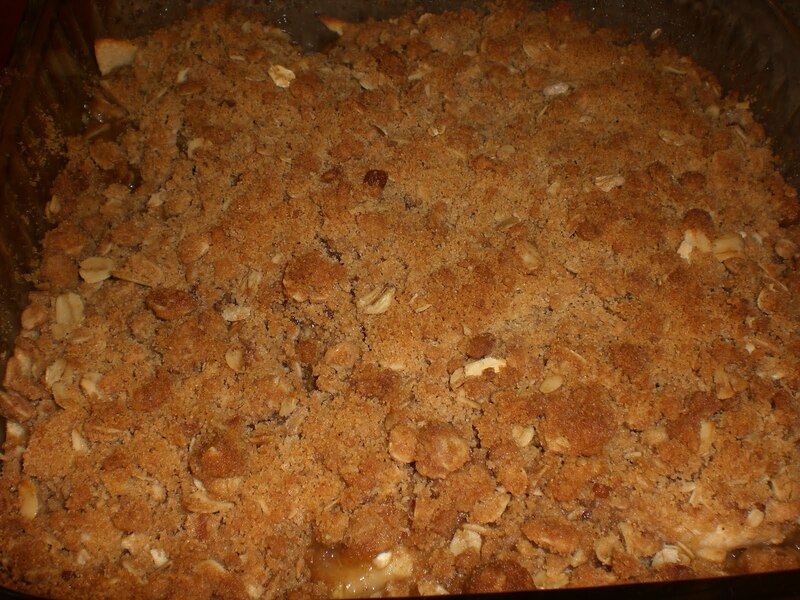 Bake about 30 minutes or until topping is golden brown and apples are tender. This is best served warm, and would probably be very good with a nice vanilla ice cream. I really like caramel and apple dishes, so I drizzled caramel sauce on the serving plates and placed the apple crisp on top. This was a very fast and easy dessert, but it tasted so good!